As the owner of a busy greengrocers, there’s a good chance that you’ll face a range of risks during the day-to-day running of your business. Whether it’s the fresh produce that you sell to customers, the premises from which you operate or the staff you employ, there are likely to be a number of assets that you’re keen to protect. Naturally, you will already take a number of steps to guard against perils within the workplace, but greengrocers insurance provides a valuable additional layer of protection in the case of certain unexpected circumstances. What does greengrocers insurance cover? The first thing to note about greengrocers insurance is that it essentially resembles a standard shop insurance package, however the contents being insured are specified. With this in mind, a typical insurance policy for greengrocers should include various features that can suit your specific needs, depending on the risks you want to guard against. Although exact circumstances are likely to vary from greengrocer to greengrocer – and some of the more tailored forms of cover in a greengrocer’s insurance package may differ – the core of each greengrocer’s insurance policy will be largely similar. The insurance you are going to be buying is likely to be a shop package that considers and accommodates the specific type of stock you may carry – such as alcohol and cigarettes. If you do sell your produce in a shop, as opposed to a market stall, and you own the property, then you will most likely deem it necessary to have your premises insured. If you rent, your landlord should have this covered. Buildings insurance can help to cover costs you might face following damage to your bricks and mortar from events such as floods, storms or fires. It is also designed to cover loss that may occur due to malicious damage to the property. Your stock is at the heart of your business, which means it’s important to protect it. If you were to suffer unexpected damage or theft of your fruit, vegetables and other produce, then you may be unable to trade as normal – which could have a knock-on effect on your business and its profits. Shop stock insurance could provide assistance for you in this situation. Similarly, contents insurance can guard against the cost of repairing or replacing fixtures, fittings and valuable tools and equipment that may be necessary for your greengrocers to function properly. This covers risks such as fire, flood, pests, theft or malicious damage. As a greengrocer, there may be instances when you are transporting your products in a vehicle. By opting for insurance on these goods in transit, you safeguard them against any loss that may arise while you are on the move. A key requirement of this section of a policy is that the goods are in transit in a vehicle owned by you or your retail business at the time any loss occurs. If something happens that has a negative impact on your business’s daily operations, business interruption insurance could provide financial protection. For example, if there is a flood that badly affects your shop and produce, business interruption insurance can compensate you for the revenue you lose during the time it takes to get you up and running again. It could also cover your overheads which are likely to build up while you’re out of action. If one of the products that you sell causes injury or illness to a customer; or something about the setup of your shop causes injury – such as a wet floor, then you could be held accountable, and a legal trial could ensue. Having product liability insurance in place could help to protect you in this situation, and provide financial compensation for expenses incurred as a result. Small businesses often form an integral part of the communities in which they’re situated, so it’s important that they are properly protected against threats. Your business is no different, and going without comprehensive cover could leave you in a difficult situation should an unexpected incident occur. As can be seen, there may be a number of different types of cover that you may want to include in your greengrocers insurance policy. Your insurance package should be tailored to your business’s individual needs and circumstances, and should reflect the nature and daily activities of your greengrocers specifically. There may be a number of special features of your business that require additions to your insurance policy. As an example, if you frequently trade at markets then your insurance would need to reflect this - , as you could face different the risks you face will be different to those you would if you only ever traded from stationary premises. Similarly, if you sell produce at one off events - such as fairs - you’d need to specify this when purchasing your insurance in order to get the appropriate cover. 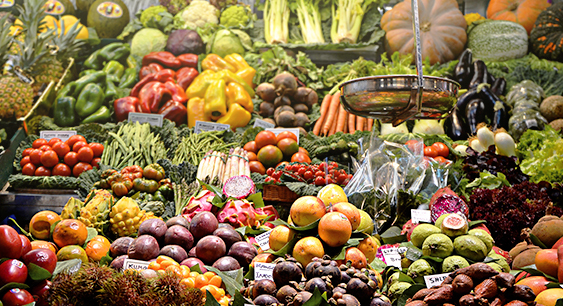 Even if your business simple manages the fresh produce section within a wider food shop or supermarket, there’s a good chance that you will still need to have your own business insurance in place, to protect against risks pertaining to you specifically. Quotes and prices for greengrocers insurance In order to keep costs down and ensure that you’re getting the best insurance deal available, you should consider comparing quotes from a number of different insurance providers. For many busy business owners, this can be a time consuming process, which is why Make it Cheaper Financial Services is here to help. Our UK-based insurance experts can help you secure the cover that your greengrocers needs - at a competitive price. Call Make It Cheaper Financial Services on 0800 970 0077 to get your greengrocers insurance quote today.